Reading Comprehension Questions in every chapter help students think about writing by understanding what they have read. New! Exercises in the Writer\'s Resources section provide additional practice for students who need help with grammar, punctuation, style, and word choice. New! 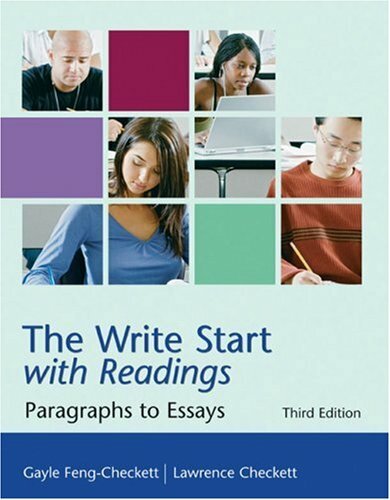 "Three-Item Essay Map" presents a five-paragraph essay structure with three body paragraphs to help students understand, incorporate, and master the writing process. New! Professional and student essays illustrate the differences in essay models and allow students to leave the five-paragraph essay model for more complex formats as they become more proficient in their writing skills.